From Apples, Oranges, Melons, Star Fruit and Dragon Fruit to Asparagus, Castelfranco, Broccoflower, Romanesco, French Beans, Tomatoes, Potatoes and Zucchini and everything in between, we at Produce Available strive to bring in all requested items first from local farms when available, or from other domestic sources, other growing areas in California or around the world when not available locally. We are so fortunate here on the California coastline to have many farms growing conventional, organic or pesticide-free produce as well as tropical exotic fruits and vegetables. The tepid ocean plus desert climate is perfect for growing just about anything under the sun. Just ask for what you want and our buyers will search for and bring in almost any product available to us for you. 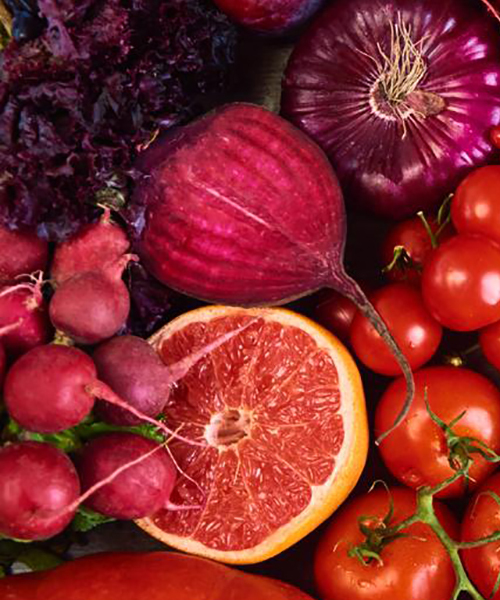 Should you or your restaurant or catering company want Local or Organic produce specifically, check out our Weekly Farm Picks where we offer weekly product from local/regional farms, and ask your sales rep. for a list of Organics available to you. Below we will feature a Fruit and Vegetable of the month describing interesting facts and inuendo regarding both. An heirloom is generally considered to be a variety that has been passed down througout several generations of a family because of it's valued characteristics. Read more here from TomatoFest to learn more about heirloom tomatoes and their seeds in general. 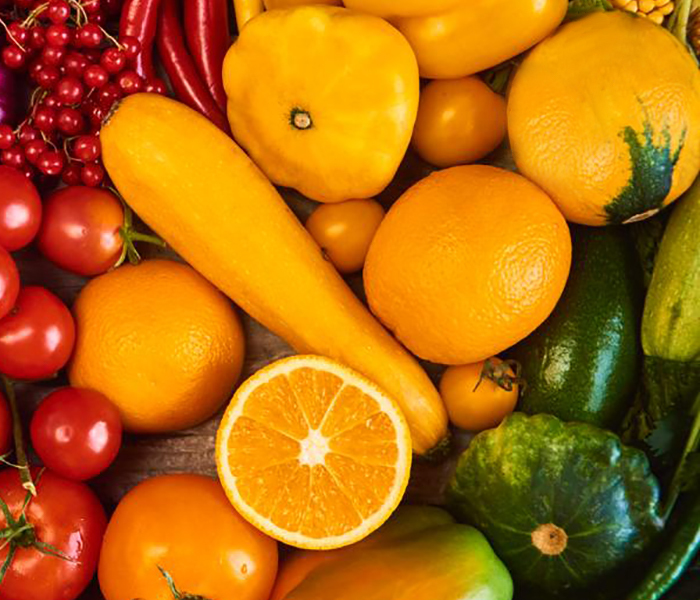 Know too that technically tomatoes are a fruit just like squash, eggplant, pumpkins, cucumbers, peppers, green beans and other fruits that most of us think of as vegetables. Again, technically, a veg. is the leaf, stem, or root of a plant, and any seed-bearing thing that develops out of the flower is considered a fruit. To a botanist, a tomato is clearly a fruit, (well actually it is a berry). We generally use "fruit" to describe plant foods that taste sweet, such as apples and grapes, and "vegetable" to describe plant foods that are lower in sugar, such as lettuce and broccoli. It's complicated and the rules get broken all the time. Just know that Produce Available offers several varieties of Heirloom Tomatoes to you bought locally during the Summer months...and from other farmers during the Fall, Winter and early Spring seasons. Right now, September is prime Heirloom Tomato season! They are juicy and aromatic and oh so sweet. Is it any wonder melons have been cultivated for thousands of years! The fruits fall into two species: Cucumis Melo, which includes muskmelons and honeydew and Citrullus Lanatus, also known as watermelon. Look for these juicy gems late Summer into the Fall. Here is a list of just some of the more well known melons that are available to us. We do have access to even more exotic summer melons in late summer, from such local farms as John Givens and Weiser Farms, which we offer via our Farmer's Market Program. While not entirely seedless (it has soft, white immature seeds), this variety has become only more popular since its hybridization more than 60 years ago. Red watermelons contain the highest level of the antioxidant lycopene per serving of any fruit or vegetable. Its yellow-fleshed fruit has a more honeyed, mellow taste than that of its red counterpart. Chill it a few hours before serving for a thirst-quenching treat (remember, watermelons are 92% water!). Though this watermelon is small (typically only 6-12 pounds), it more than makes up for its diminutive size with an intense, concentrated flavor. Since it grows compactly, it saves space in the garden and, after harvesting, in the cooler. Also known as Peil de Sapo or Christmas melon, because it is harvested later in the season and can keep through the holidays, the winter melon is subtler than other varieties. The yellower the rind, the sweeter the fruit. Native to China, this elongated muskmelon tastes like a cantaloupe but boasts sweeter, crisper flesh. Adding a squeeze of lime juice helps balance out the sugariness. One of the sweetest varieties available, the Crenshaw ripens from midsummer through autumn. The thick, pink-orange flesh has a heady aroma and works well with prosciutto and other charcuterie. A supermarket staple, the smooth-skinned melon lasts a long time thanks to its hard rind. Honeydew don't have as strong a fragrance as muskmelon, but they can be equally sweet. Also known as a French cantaloupe, this highly fragrant melon features firm dark-orange flesh, enticing musky notes, and a shallow seed cavity. The petite and relatively delicate variety (typically the size of a grapefruit) doesn't ship well, so it's best found locally or grown at home. The oblong yellow fruit resembles a cantaloupe in flavor but has a pleasant tanginess. Like honeydew and other winter melons, it will start to ripen toward the end of summer and continue through the beginning of autumn. Supermarkets often sell them as cantaloupe, but these melons, originating from Iran, are actually muskmelons. The aromatic fruit starts appearing in markets in June. Featuring a floral perfume, this oblong melon is admired for its restrained, pineapple-like taste and a smooth texture that almost melts in one's mouth. An Israeli hybrid, the Galia has a netted rind like that of cantaloupe and smooth lime-green flesh like that of honeydew. Its sweet banana flavor pairs well with tart summer fruits.